Founded in 1995, Woodbury Dance Center is a family run studio with a focus on helping our students discover the joy of dance! Our highly skilled teaching staff is made up of dedicated professionals who have many personal accomplishments in the dance world. 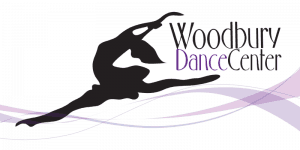 Woodbury Dance Center offers recreational classes for ages 18 months through adults in various dance styles as well as competitive teams for ages 4 and up.